Holy and Heavenly Father, I fall at your feet in humility. There is no one like you, Lord God, for you are worthy. 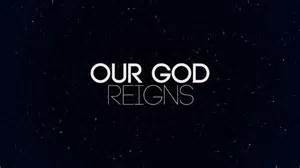 You alone are righteous, you alone are holy, you alone can save. You fashioned heaven and earth by your Word. You formed man in your own image by your own words. We your people praise you, Creator and Sovereign Lord. I exalt and adore you, Almighty King. I live in a messy world filled with disgrace and wickedness. Forgive me, Lord, for my many failings. Because Jesus, you are TRUTH. Or even the government’s truth. The world’s truth is relative, creating confusion and chaos. Planted doubts in the minds of the Maker’s cherished creation. A war of words ensued, extending to modern times. And still the truth is—you, O Lord, you alone are truth. Your truth is absolute, unquestionable, infallible. Your orderly foundation filled the world with peace and calm, lawfulness and discipline. The whole of creation was good. You created boundaries and barriers for our good, you ordered our steps. But we would not follow, choosing not to obey. Your truth protects and saves us. All Your commands preserve us. Your holy standards in us glorify you. You are the Creator, I am only the creature. You make the clouds, I make a cloudy murky mess. You are Sovereign, I am limited. To throw away your loving laws? Why don’t I choose your ways? Surrendering to your wisdom and will. Oh how I fail you and me! If only I could trust and obey you. Come quickly, Mighty Warrior, and deliver us. Flood the world with grace and mercy. Thank you for your loving salvation. May we open our hearts to receive you, Jesus! The earthly world is not our home, Jesus tells His followers. It’s merely a place of residence as we journey toward heaven. But while living here, we are to be salt of the earth and light to the world (Matthew 5:13-16). We are an appointed people, a generation chosen to tell the good news of the Savior Jesus Christ (1 Peter 2:9, John 3:16). The Israelites too were a favored people, elected by God to shine for His glory. He chose Abraham and his lineage through Isaac to be a light to all the nations. Whether through His people’s rebellion, hardship, or blessings, God’s Presence remained with His people (even when they did not recognize Him). After generations of Hebrews spent time enslaved in Egypt, God called Moses to lead them on a three day journey out into the wilderness to worship and sacrifice to the Lord God. Eventually the miracles of the Exodus occurred and a promised land awaited them. But in the meantime, in the waiting period between miracles and promises—the wilderness—God commanded His people to be holy, sanctified, and set apart. In the desert He taught them how to worship the One True God. While in the wilderness, God reigned among His people in the form of a cloud by day and fire by night. His glory descended from heaven and tabernacled (or lived) among them in the Tent of Meeting (worship center). Whenever Moses walked out of that sanctuary having spoken with God, He glowed with glory. When he met God in a cloud high upon a mountain, he radiated God’s glory. 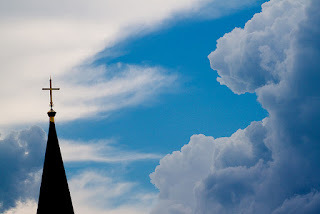 God’s Temple overflowing with a cloud represented God’s glory tabernacling with His people. And they were light to the world. Today this world seems to be getting darker and darker. 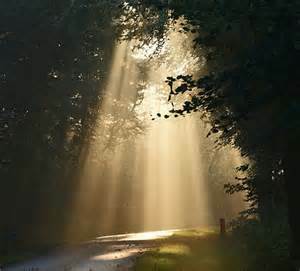 Have God’s people allowed their light to grow dim? 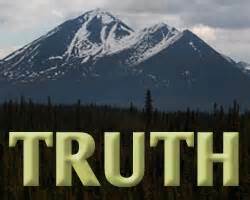 Like the Israelites who rebelled against God’s commands and assimilated with the surrounding pagan nations, are Jesus followers allowing the world’s truth to supersede the Lord’s Truth? 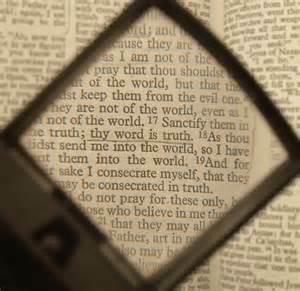 Without the Truth of God’s Word, people go astray. Whether rebels or aimless fans of the latest fads, many roam this earth without direction. But believers of God’s Word stand firm on truth, ready to shine for His glory. I witnessed an example of God’s people standing on His Truth and shining for Him this week. Christian students at a college nearby set up tents and assembled together for three days and nights during a festival focused on Christ. They chose to be bright lights for their peers, displaying the difference Jesus makes in people’s lives. A plethora of worldly views daily inundates college students prompting an upsurge in the latest trends. The Christian students desired to present to fellow students this Jesus who is the Way, the Truth, and the Life (John 14:6) and who is the same yesterday, today, and forever (Hebrews 13:8). Round the clock prayer, tents, food, coffee, free shirts, concerts, and worship music—weeks of planning went into the preparation for this 24/7 event. Clouds, rain, wind, and cold—unplanned weather appeared to wreak havoc on each day’s planned outdoor activities. From the outside looking in, all seemed hopeless. Yet on the inside of the tents, radiant faces of students beamed with excitement about the chance to share the gospel with other people (Matthew 19:26). Seeing raised tents on this college campus reminded me of the meaning of the Israelites’ celebration of Feast of Tabernacles. 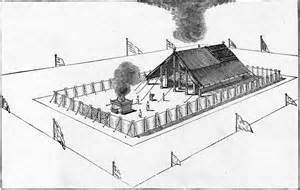 They assembled tabernacles or tents to occupy during the week long feast. This festival celebrated God’s past provision during the forty year sojourn in the wilderness, observed God’s present provision of a completed harvest, and anticipated future crops with prayers for rain. The Israelites remembered and worshipped an ever present God in their lives. Spiritually speaking, I knew in my heart that God revealed to me the sacred truths of the Feast of Tabernacles in order to uplift and inspire these college students. As they erected their tents in the rain and under cloud cover, God reminded me of His faithfulness from Biblical times to the present. I then encouraged them with the truth of God’s mercy continuing to rain down upon His creation for planned growth in His name (Jeremiah 29:11-12). God desires to loosen up hearts so seeds of truth can be implanted in the minds of searching people (Jeremiah 29:13-14). Just as He reigned in the cloud over the tabernacle in the desert, His Presence lingered over the tents of a college campus during cloudy days. His blessings rained down in many ways as the students recognized His provision. He provides grace for people everywhere when their hearts seek truth. And He is available, come rain or shine. You, O Lord, are the light to my heart and soul. You shine through the clouds over my life. 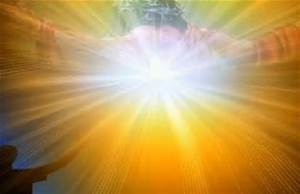 Help me to shine for Your glory! In Jesus’ name, AMEN!